SSS '17 will be held in HIROSHIMA CAMPUS (or Hiroshima-kosha) near Peace Memorial Park. DO NOT GO TO ITSUKAICHI CAMPUS where the most buildings for Hiroshima Institute of Technology stand. 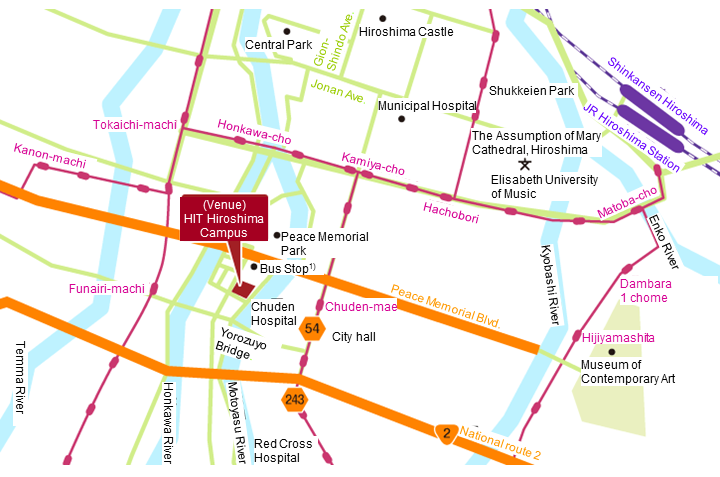 Clearly assign "Hiroshima-kosha" if you take a taxi, or your driver may take you to Itsukaichi (and cost much).